Given our location in Southern California, it should be no surprise that our faculty and staff have a strong affinity for the outdoor lifestyle. One outdoor activity, however, has risen to the level of a passion for many of our physicians and physicists, namely Surfing. This is particularly interesting given that the great majority of our faculty and staff are not originally from beach environments. 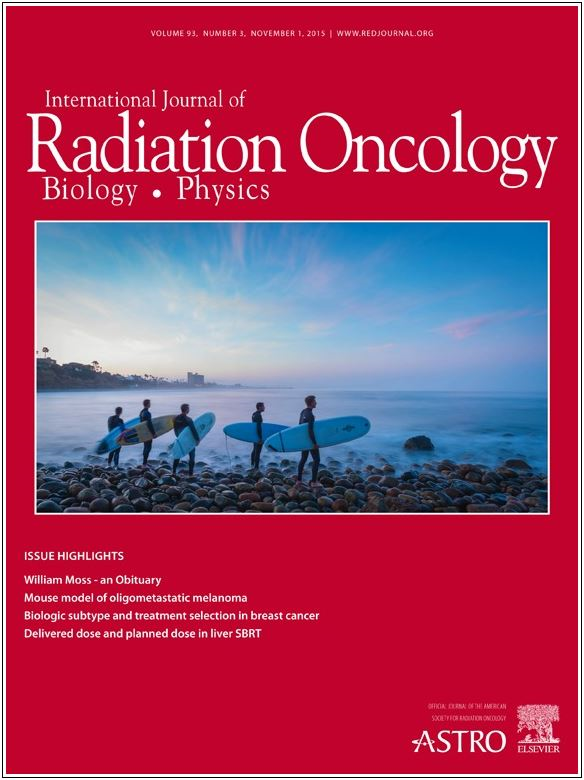 On many early mornings before work or on the weekends, you may find many radiation oncologists and medical physicists enjoying the wonderful waves of San Diego. Each year the UC San Diego Moores Cancer center holds the "Luau and Legends of Surfing Invitational" surf competition to support cancer research. Our inaugural UCSD Radiation Oncology surf team entry for the 2016 event is featured above including Derek Brown PhD, team captain Dan Seible MD, legendary professional long-boarder Steve Walden, AJ Mundt MD, Andrew Sharabi MD PhD and Jim Murphy MD (left to right). Above we have Andrew Sharabi MD PhD (left) showcasing the "Sharabi late drop" in the contest, and Dan Seible MD (right) coming off the lip in the free surf. Below Derek Brown PhD (left) and Jim Murphy MD (right) are stoked on their successful heat with Scripps Institute of Oceanography Pier in the background. Weather permitting (it usually does in San Diego, even in January), applicants to the medical residency program are provided the chance to learn to surf while in Southern California for interviews. Despite a <1 session average past surfing experience for the 2015-2016 cohort, all applicants were successful in riding a wave. Above left to right: Doug Holt MD, resident Erin Gillespie MD, Lindsay Hwang MD, resident Dan Seible MD, Alex Bagley MD PhD, Xin Cai MD PhD and physics resident Adam Yock PhD. Photos by Chrissy Seible. Round 2 left to right: matriculant Deborah Marshall MD, resident Erin Gillespie MD, Matthew Deek MD, matriculant Christine Feng MD, Akash Parekh MD, resident Dan Seible MD and Dannielle Bitterman MD. Above Alex Bagley MD PhD (left) and Doug Holt MD (right). Above Lindsay Hwang MD (left) and right Xin Cai MD PhD (right). Danielle Bitterman MD surfing, with cheerleaders Dan Seible MD, Christine Feng MD and Erin Gillespie MD in the background (left to right). Above Akash Parekh MD (left) and Matthew Deek MD (right). Then applicants, now matriculants to the program Deborah Marshall MD (left) and Christine Feng MD (right).